Top Ten Charity Foundations in Nigeria. Top Ten Charity Foundations in Nigeria… In Nigeria we have lots of charity foundation. They provide various types of help. The charity foundations in Nigeria work with different of the population to provide various types of help needed. They help not only humans, but also animals. 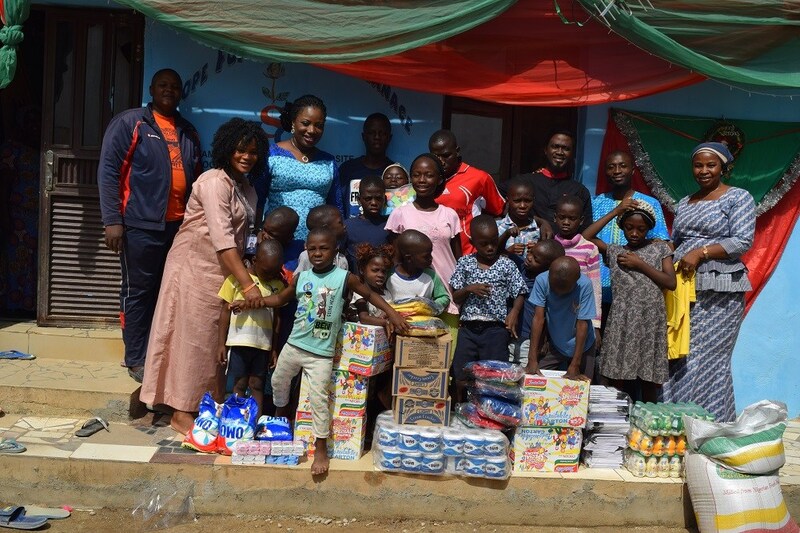 In this article we are going to talk about the top ten charity foundation in Nigeria. Solar sister is a network of African women, the organization works on supporting women in Nigeria, not only in Nigeria but other countries like Uganda,Tanzania. With the help of this organization women can start their own personal business. They believe that every woman should have access to affordable clean power no matter where they live. This organization believes that women are a key part of the solution to clean energy challenge that is the main reason they invest in women’s enterprise in off grid communities. They center on local women in growing clean energy sector which is essential to eradicate poverty and also achieving sustainable solutions to climate change and a host of developmental issue. Their mission is to provide women with economic opportunity training technology and also support to distribute a clean energy to undeserved communities in Nigeria. Their vision is to envision a bright world powered by women entrepreneurs. So far they have reached over 1.4 million women across Africa with solar energy and clean cook stoves and also kick started over 3,409 clean energy entrepreneurs. Today this network consists of over 2,200 entrepreneurs. This charity foundation works as an organization that deals with child birth. This organization provides surgery, also supports medical and community training programs and also provides the ability to give birth in health centers. This organization for mothers injured in child birth was founded in 1995 the organization was renamed in 2003 as the world wide fistula find (WFF).this organization heals women ,they work to identify win an who need fistula treatment and transports them surgery which is always performed by expert fistula surgeons. This organization also offers recovery and ongoing support to women including safe places to heal, they are given comprehensive post-operative care, and meals group counseling and also individual counseling. This foundation is one of the popular foundations. It deals mostly with poor people especially children. They offer programs that expand education, prove health and also create business, andabove all protect the lives of poor people. Their grass root programs include health care, education, wildlife conversation, small business creation agriculture and so on. The work of this organization is to ensure a good future for wild days; they protect wild cats like leopards, lions in AFRICA and cheetahs. This organization was founded in 1997 during a medical mission trip when DR Patricia Brock became aware of the overwhelming need for medical supplies in developing countries. This organization has worked in over 81 countries including South African countries as Nigeria .The foundation provides medical care, equipment and also services. This organization closes the health care gap by connecting those who hope. This organization provides medical and surgical appliances and equipment and delivers them to health care providers. Their mission is to bridge the health care gap by procuring good medical, dental and surgical supplies and also equipment for redistribution to qualified organizations and medical missions in the developing world. This is another foundation that helps women with obstetric fistula. The foundation strives to help women live a healthy life and also a productive one. They provide obstetric fistula treatment worldwide; they do this by channeling funds towards fistula surgeon training. Thus foundation have been recognizes by several organizations for its transparency earning a top rating from charity watch. This organization is the biggest shipper of books to AFRICA in the world. They supply African countries with books and also educational materials. This organization was founded in 1988. Since then it has shipped more than 27 million textbooks to African libraries. This organization remains the largest shipper of donated library books and text books to the African continent. This is an association of scholars and professionals in the United States with an interest in Africa thisorganization aims at cultivating knowledge about AFRICA with the help of publications in AFRICA institutes of higher education. It is said to be the world’s premier source of knowledge about Africa. It was founded in 1957 as none profit educational program. This organization is devoted to enhancing exchange of information about Africa. Addressing the challenges faced by universities, engage in teaching research and outreach related to the country. This organization helps children to live a more productive and healthy life.it also supports children with education, safety and early preparation against pandemics. It helps families also to start up their own business.it has been in place since 2000s.their aim is to facilitate community development and provide educational opportunities through a very creative platform. They provide students with opportunities to thrive inside and outside their classrooms. Those organizations also offer a variety of workshop for both kids and adults in the village. They are there to weaken their potentials and also pursue them to their biggest dreams. This organization is a non-governmental organization and also a non-profit organization. This organization fights against sexual abuse with the help of lectures, talks and also seminars in secondary schools universities and other higher institution. So far I have been able to list the best ten charity organizations in Nigeria. You can contact them if there is such need.